This wall lamp is suitable to mount on the wall. It is (IP44) waterproof. Limited Free Shipping:may exclude certain postcodes. This RVS wall lamp is suitable to mount on the wall and it is (IP44) waterproof. Limited Free Shipping:may exclude certain postcodes. These 3-piece garden lights are ideal to decorate your garden, yard, landscape, swimming pool, etc. Limited Free Shipping:may exclude certain postcodes. This gorgeous and elegant crystal ceiling lamp, with very bright and highly translucent crystal beads, will make a great focal point in your interior. Limited Free Shipping:may exclude certain postcodes. This gorgeous crystal chandelier, featuring a classic and elegant design, is a real eye-catcher to light up your foyer, dining room, living room and more! Limited Free Shipping:may exclude certain postcodes. 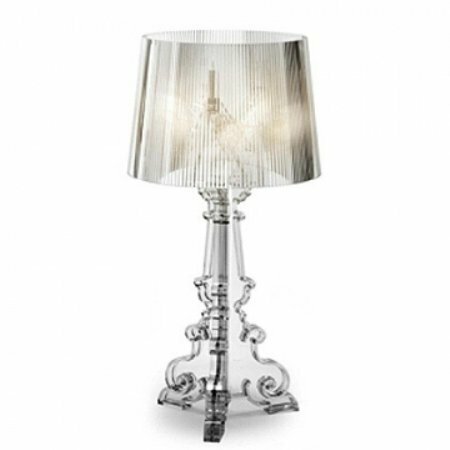 This gorgeous crystal ceiling lamp has an elegant design and will add a touch of style to your room. Limited Free Shipping:may exclude certain postcodes. This Artificial Crystal Glass ceiling light chandelier with sparkling droplets will be a eye-catching decor in any room at your home. Limited Free Shipping:may exclude certain postcodes. This gorgeous metal chandelier, with an elegant design, will make a great addition to any interior. Limited Free Shipping:may exclude certain postcodes. This Artificial Crystal chandelier with sparkling droplets will be a eye-catching decor in any room at your home. Limited Free Shipping:may exclude certain postcodes. This gorgeous crystal ceiling lamp, featuring a classic and elegant design, is surely an eye-catcher to light up your foyer, dining room, living room and more! Limited Free Shipping:may exclude certain postcodes. This gorgeous chandelier with 1600 different crystals and 12 flames is entirely made of metal and glass crystals. A real eye-catcher in any environment and ideal for private and industrial purposes Limited Free Shipping:may exclude certain postcodes. These waterproof (IP44) wall lights are made of stainless steel and are equipped with a motion detector. Limited Free Shipping:may exclude certain postcodes. These waterproof wall lights are made of stainless steel. Limited Free Shipping:may exclude certain postcodes. This RVS wall lamp is suitable to mount on the wall. It is (IP44) waterproof and it has a motion detector. Limited Free Shipping:may exclude certain postcodes. This floating solar ball light set consisting of 3 pieces LED ball lights and a solar panel with ground spike is a perfect addition to any pool, pond or fountain. Limited Free Shipping:may exclude certain postcodes. This LED solar light set is a perfect decorative lighting for gardens, patios, paths, and driveways, etc. The batteries of these lights are charged by solar energy during daytime and the lights turn on automatically when it gets dark. Limited Free Shipping:may exclude certain postcodes. This solar ball light set consisting of three LED bowl lights with spike anchors and a solar panel is a perfect addition to any garden, patio, path, yard and balcony. Limited Free Shipping:may exclude certain postcodes.